Please allow us 24 hours notice if you need to cancel an appointment. This will allow us to refill your spot with another patient that is having orthopaedic problems. This is greatly appreciated. The patient will be charged 50 dollars if the patient does not show. This can be avoided by calling in to cancel 24 hours before the scheduled appointment. There will be absolutely no medication refills after office hours and over the weekends or holidays. Dr. Grossfeld will not have access to your medical records and from a risk management prospective is unable to refill. The only way to potentially get a refill during those times is to be seen at an urgent care center or emergency department. Those facilities may also elect not to refill your medication. Unfortunately there is vast abuse of narcotics in the state of Kentucky which has made these policies necessary. Please note: if you are requesting a medical records release from Orthopaedic Specialists, please allow 7 to 10 business days for copies of your medical records and x-rays. Thank you! Additional testing may be ordered. Treatment options may include: medications, physical therapy, joint injections, joint fluid supplementation injections, braces, arthroscopic surgery and minimally invasive open surgery. EMR: Electronic Medical Records allow us to electronically link to your other doctors at Baptist Hospital East. We will be able to provide your medical records on a cd rom or transfer to your personal flash drive now!!!! Now offering E-prescribe for all patients with Medicare coverage. South Oldham High School certified athletic trainer, Kelly Dike, who Dr. Grossfeld works with closely through South Oldham High School, won the Kentucky State Athletic Trainer of the year for the entire state! Congrats Kelly, you are awesome and this award is well deserved. Dr. Grossfeld at Orthopaedic Specialists in Louisville KY provides guidance and instruction to a number of medical students throughout the year in her office. Some of the students Dr. Grossfeld has worked with in the last year include Dr. Jing Bryant, Dr. Rebecca Popham, Dr. Amy Kim, Dr. Iosbani Alberteris, Dr. Lena Sandifer and Dr. Josh Bentley. You may see Dr. Grossfeld working with medical residents during your visit to Orthopaedic Specialists. 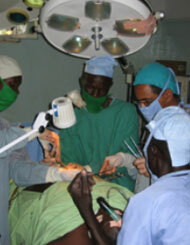 Find out more information about medical residents at Orthopaedic Specialists. Dr. Grossfeld is a mentor with the American Academy of Orthopaedic Surgeons. 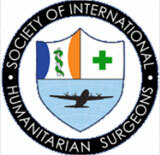 She mentors female pre-med or medical students that are interested in pursuing a career in orthopaedic surgery. The mentoring program involves meeting with the students to discuss career goals and help them formulate educational pathways. Orthopaedic Specialists office. Orthopaedic surgery is still a male gender dominated field with less than 5 percent of all orthopaedic surgeons being women. Dr. Grossfeld believes it is important to provide a role model for these outstanding young women. 2013 – Louisville orthopedic surgeon Dr. Stacie Grossfeld is featured as the keynote speaker for the “No Bones About It” Lecture Series at the Baptist Hospital East auditorium in Louisville, KY, on Monday, January 21, 2013, from 5 – 6 p.m. EST. Dr. Grossfeld’s presentation “The ACL Injury” covered: ACL anatomy, mechanism of ACL injury, physical exam, aging studies and surgical treatment for the ACL and recovery from an ACL injury. 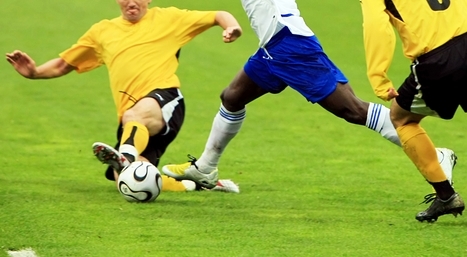 Read more about Dr. Grossfeld’s presentation on ACL injury. 2011 – Dr. Grossfeld with Orthopaedic Specialists in Louisville KY gave a lecture to 350 attorneys attending the Comp Ed 20th Annual Worker Compensation Seminar Conference at the Galt House Hotel and Suites in Louisville KY on June 3rd, 2011. The Lecture was titled: “The Knee Diagnosis, Treatment and Disability.” Dr. Grossfeld found writing her power point presentation challenging because she primarily lectures to health care providers. Dr. Grossfeld explained that she had to try to think like an attorney and provide a lecture on what would be important to them regarding the knee and knee injuries. Dr. Grossfeld is a member of the Emergency Department Committee at Baptist Hospital East (BHE) on behalf of Orthopaedic Specialists. The committees meet regularly. Physicians from other specialties are on the committee along with key administrative staff at BHE.